KITsubs: Kamen Rider episode 31! But Taki and Tachibana won't let him give up that easily, and in the efforts to boost his spirits, they may have helped Hayato unlock a new special attack to help him in his battle against Shocker! This is actually a pretty dark episode, for a story about overcoming an emotional and physical hurdle. There are some pretty gruesome scenes, and some really creepy moments between Takeo and his brother. On the other hand, there's a really great scene between Tachibana and Hayato that will show both characters at their strongest. It might seem out of character for Hayato, but it doesn't feel out of place. And we get yet another scene in the franchise where Tachibana is the emotional focal point for the story. It's a great scene, and it almost completely overshadows Taki's "pep-talk" with Hayato. Ichirō Murakoshi's first stint as a Monster voice, we'll hear him again later in Episode 76 and other Rider shows like V3, Skyrider (two of which have appeared in the episodes subbed so far) and Super-1 in addition to serving as the Narrator of Inazuman and Bioman. His Japanese Wiki page lists even more Toku credits than the ones I've listed. He also voiced characters in Brave Raideen, Great Mazinger, Lupin III, Chojin Bibyun, Barom 1, and Ultraseven! This is the beginning of our Kamen Rider marathon, getting us to some fan-favorite episodes, and a very special milestone that we've been waiting a long time for! You don't want to miss it. Thank you. This has made my day! Please keep up the good work. Yay. 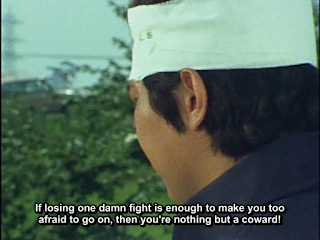 I've been waiting for this episode to be subbed for a while, Tachibana is awesome. 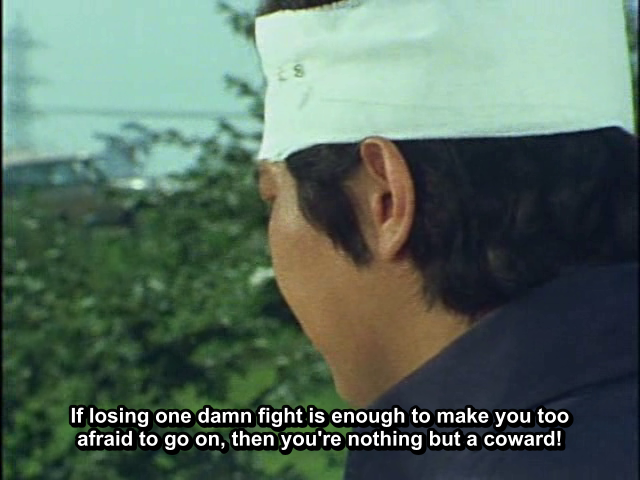 The showa series without him just don't feel "as showa", he's a real star. Thanks for the great subs! Anyway to get episodes 31-34, 36? The MKV torrents don't seem to work anymore.